When visiting our friends Jeremy and Laura in Omaha, Nebraska, Laura and I visited several quilt shops. One of the shops had a few of the Soho Chic fabrics, so I bought three of the fabrics to use for borders and backing. 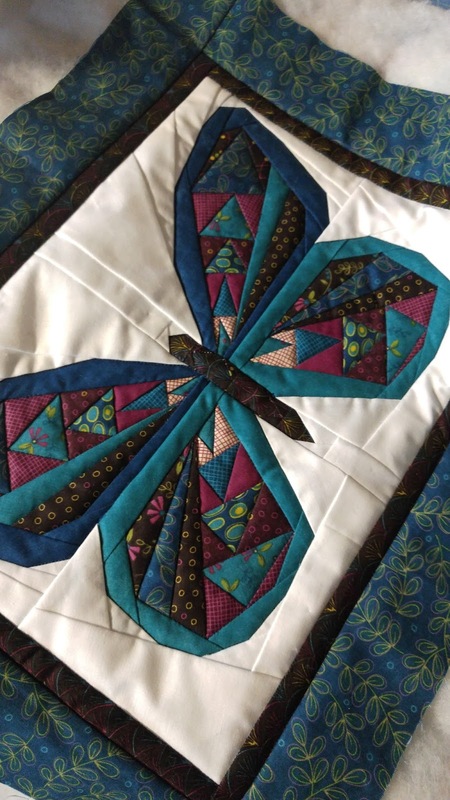 I quilted it by stitching in the ditch around all the pieces in the butterfly wings so the quilting wouldn’t distract from the butterfly design. 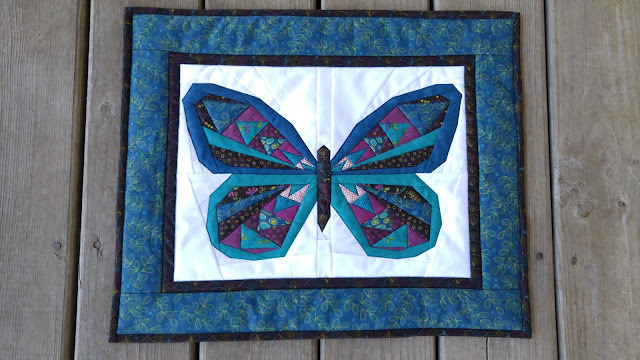 I printed a label on printable fabric and ironed it onto Heat-N-Bond then ironed it onto the back of the quilt.